The Compass Rose [see photos below]. 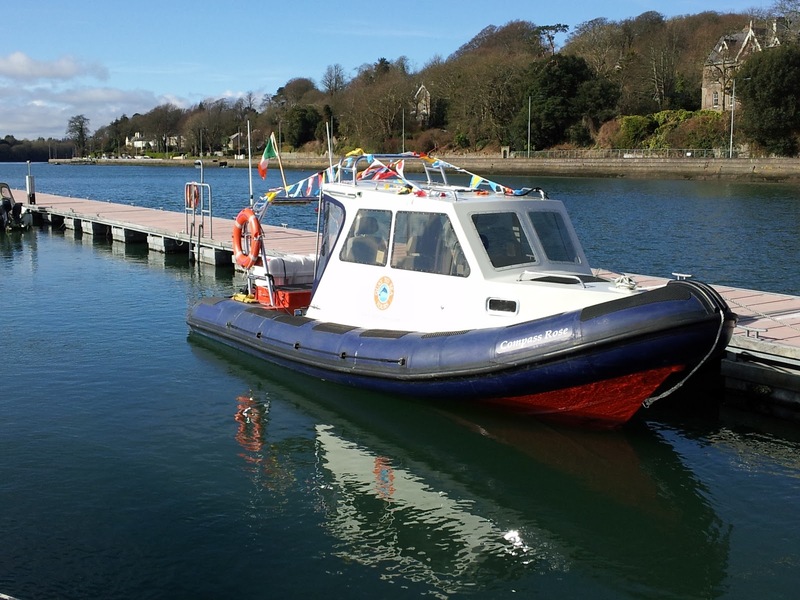 This is a 24.6 ft long Rigid Inflatable Boat [RIB], with cabin, powered by 190 horse-power Volvo D3 engine. Equipped with up to date navigation aids (Raymarine A75). 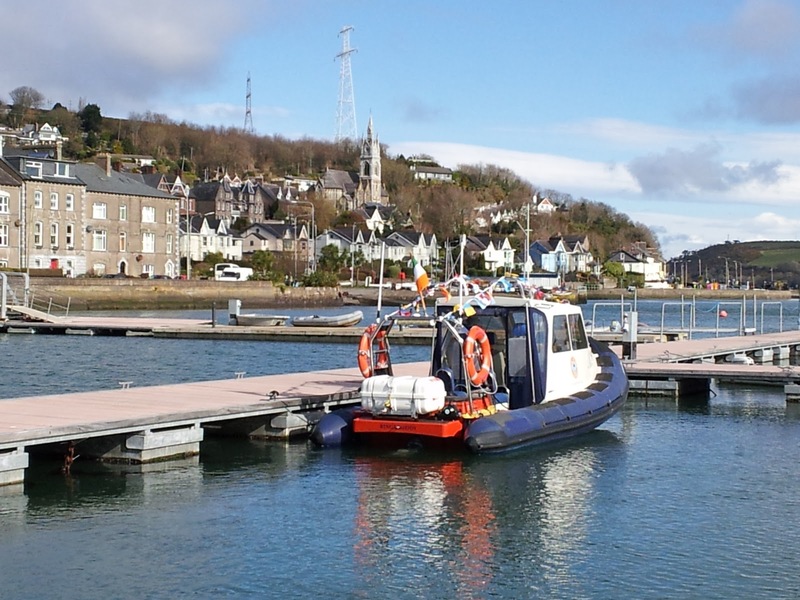 P3 Licenced passenger craft - recent marine MSO survey. Seating: 2 sprung cab seats, 2 unsprung seats (all with seatbelts), 2 jockey seats (removable). Coming with spares for engine. There is seating for 5 passengers, three on cab seats in the wheelhouse and a further two on jockey seats aft. The "Compass Rose", all dressed up for St. Patrick's Day! The "Compass Rose", alongside, Monkstown Marina, Cork.